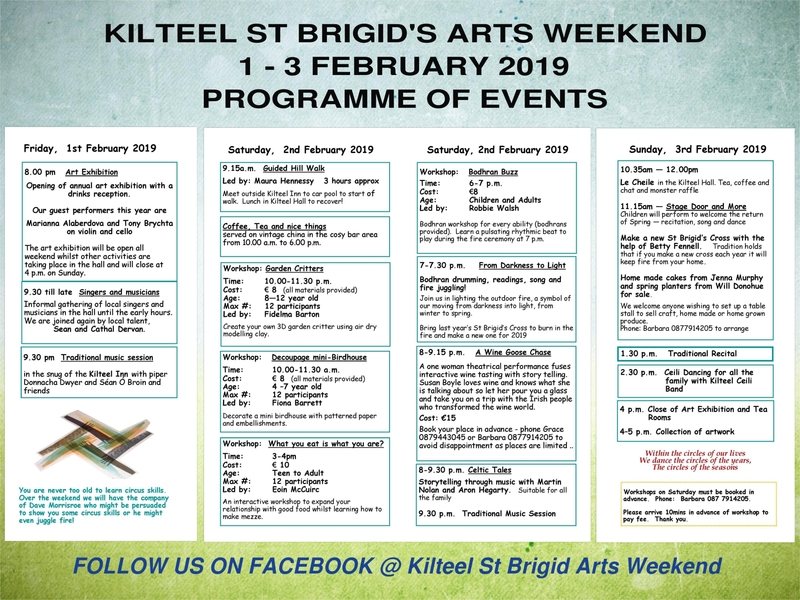 The annual St. Brigid's Arts weekend is taking place this week in Kilteel Hall. The jam-packed event runs from Friday February 1, to Sunday February 3. The anchor of the weekend is an enormous art exhibition with music events, drama, hillwalking, workshops for children and adults, wine tasting, Fire Ceremony, St. Brigid's Cross Making, ceili etc.